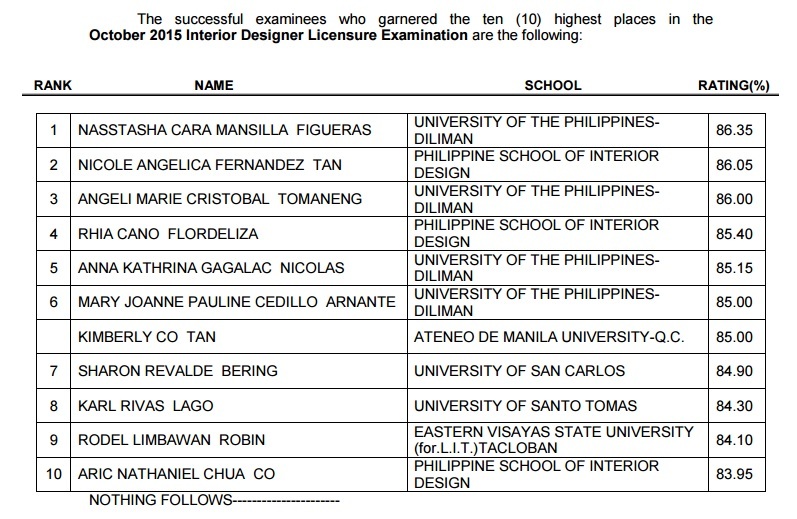 Those awaiting results of October 2015 Interior Designer board exam can find here the complete list of passers, top 10 (topnotchers), top performing school and performance of schools as the Professional Regulation Commission (PRC) and the Board of Interior Design release results in 10 working days after the last day of examination. 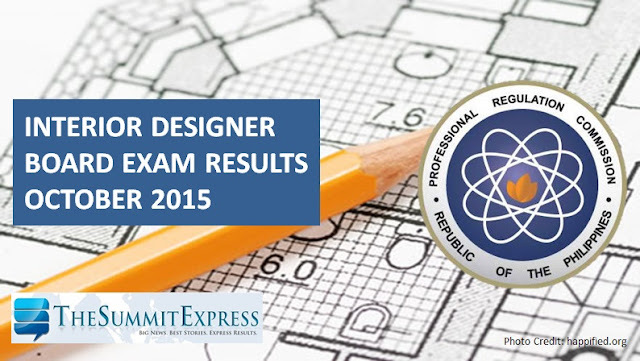 PRC on Friday, November 13 announced that 204 out of 336 passed the Interior Designer Licensure Examination. Interior Design board exam was administered on Wednesday to Friday, October 28, 29 and 30, 2015 in Manila. It was originally scheduled on October 13-15 but was moved on the later date due to the International Conference of the International Federation of Interior Architects held on October 17-23, 2015 in South Korea wherein the Board of Interior Design needs to attend to connect with the International Counterparts in preparation for the Mutual Recognition Agreement. Interior Designer board exam covered the following subjects: interior deign (Day 1); furniture design and construction, materials of design and decoration and history of arts and interior design (Day 2) and interior construction and utilities, color theory and professional practice and ethics (Day 3). In October 2014 exams, results were released in fifteen (15) working days after the last day of examination. 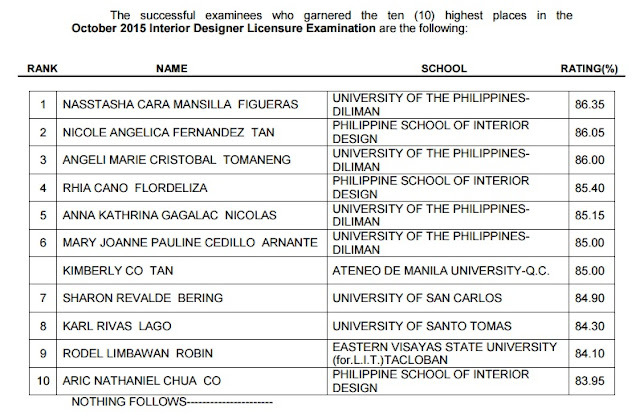 A total of 198 out of 331 passed the Interior Designer Licensure Examination. Like Us on Facebook and Follow Us on Twitter to receive updates.